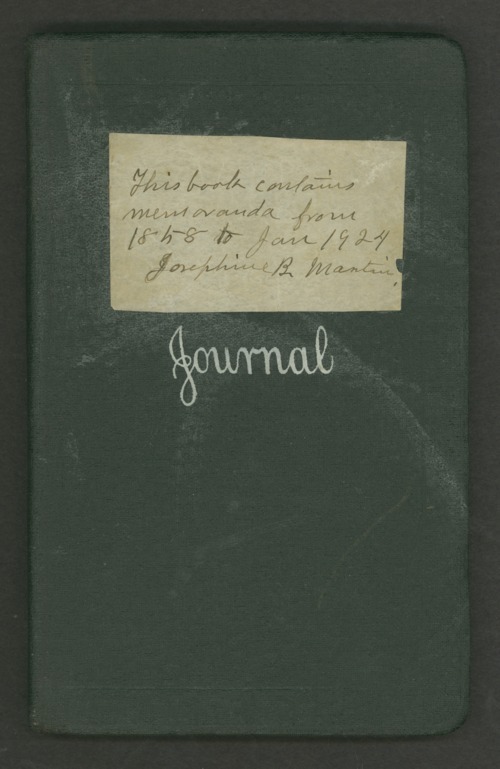 Material relating to Josephine Blakely Martin and William S. Blakely. Included in this folder are journals, letters, appointments, and a diploma. Several pages of the journal have been skipped or cut out. Some of the letters discuss the Civil War, one noting a fight between troops of the Second Kansas Calvary and William Quantrill's men at David Tate's farm on March 22, 1862.